Accidents happen in an instant. People get hurt when it is not their fault. 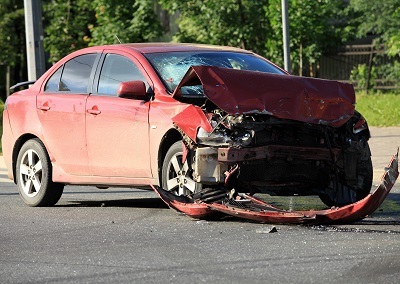 Getting compensated or reimbursed for the accident is often a lengthy process. If you are injured, you need a lawyer familiar with the process to get what you deserve. You should not attempt to negotiate your own financial settlement or sign a release of any kind before consulting an experienced attorney. You should not speak to the insurance company before speaking with an experienced lawyer. The insurance company will likely record your conversation. They will ask you biased questions. They will attempt to put words in your mouth. All so they can have a reason to deny your claim. Attorney Taczak used to represent corporations and their insurance companies against injured people. Now he works for the injured. Before he did, he gained valuable experience and insight into how the insurance companies view your case. He has handled injury claims in almost every area: motor vehicle accidents; uninsured and underinsured motorist claims; defective products; slip and falls; fires; construction and industrial accidents; and wrongful death. He knows the defense tactics which will be used. He can help you receive everything you deserve for your physical, emotional and financial injuries. Attorney Taczak has achieved favorable settlements and verdicts for many clients. The claims process is complicated and you need an experienced advocate to assist you. It starts by notifying the insurance company of the responsible party or parties. Often, there is more than one source of insurance for recovery. There may be multiple parties at fault or multiple layers of insurance coverage. The insurance company will want to take your statement either in person or over the phone. You should not speak with them until you have consulted an experienced attorney. They are collecting facts to prepare their defense. Your claims will most likely be denied which means you will have to sue or start litigation. Every case has two parts: liability (who is at fault? ); and damages (what are the injuries?). Insurance companies will attack and defend at both ends. For example, on liability, the insurance company may claim you were at fault or contributed to the accident. They may try to blame another party. As to damages, they may claim your injuries are not as serious as you claim, minimize your pain and suffering or even have you examined by one of their doctors! Litigation is a process. You need someone on your side to fight for your rights and raise the proper claims. You will be forced to answer written questions and produce medical records and proof of loss. They will send an attorney to take your deposition and size you up. Ultimately, they may choose to take the case to trial and put your case before the public. An experienced lawyer can guide you through the process protecting your rights and ensuring you are compensated to the fullest. Attorney Taczak has guided many clients to successful results. He has achieved results through settlement, arbitration, mediation and full jury trials. He can help you analyze both the strong and weak parts of your case. He can help you analyze your rights, choose the proper course of action, and find the rights sources of recovery. Attorney Taczak is committed to working closely with the client to gather all the facts and develop an effective legal strategy. Feel free to contact our offices for a free in person initial consultation. All personal injury cases are handled on a contingent fee basis meaning you will not be charged legal fees unless a financial recovery is achieved on your behalf.